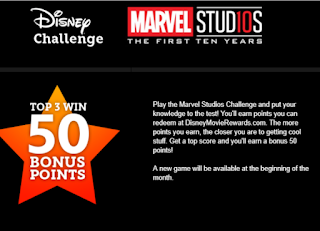 Disney Movie Reward Members CLICK HERE to try your luck at the DMR Marvel Studios Challenge! 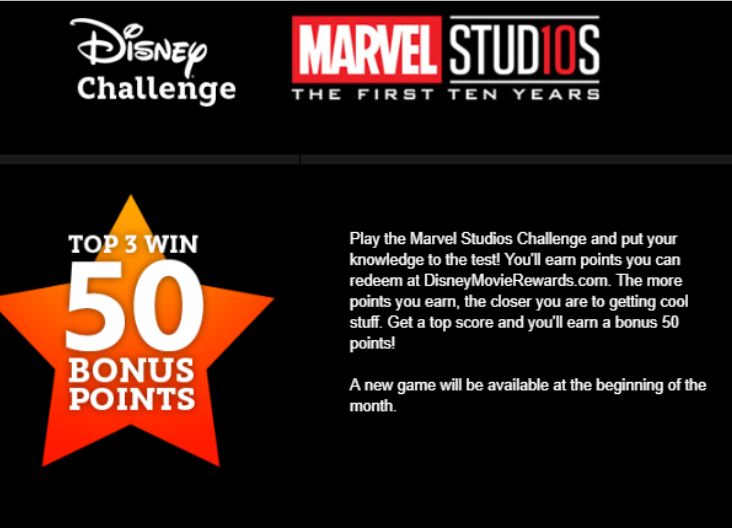 You’ll be asked questions about Marvel movies and be awarded 5 points at the end for your efforts. You want to do your best! 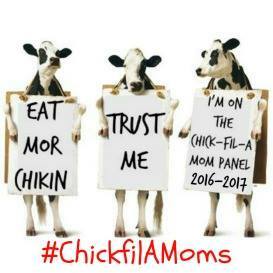 The highest scorers per period will gain even more points! A new game will be available at the beginning of each month!